Strathmore 400 drawing and sketching papers contain 30% post-consumer fiber. All papers are acid-free. Wire bound pads feature micro-perforated sheets that are actual size when removed at the perforation. 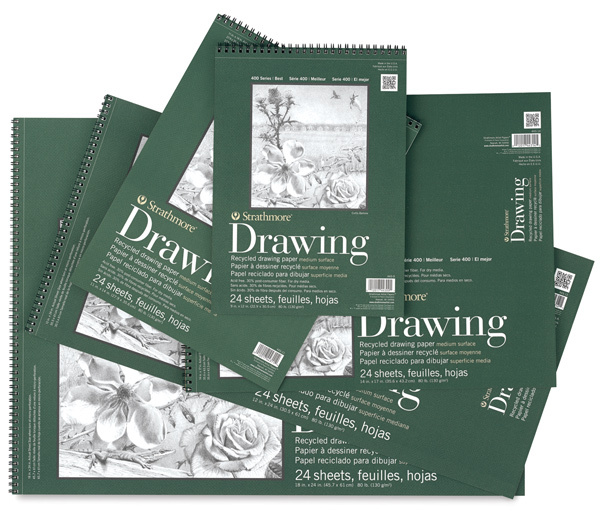 Bright white paper, ideal for use with pencil, crayon, pen and ink, charcoal, or light washes. Paper is 80 lb (130 gsm), spiral-bound on the short side.